Warhammer Tau: Rapid Fire - More Shots, More Kills! Rapid fire weapons are rumoured to get a welcome boost in 6th edition by enabling units to remain stationary and fire twice at full range and to move and fire once at full range in addition to being able to move and shoot twice at short range. Obviously, this is an instant bonus for Fire Warriors. Now a small squad of 6 objective grabbers can sit tight and put out 12 Strength 5 shots. And that's not bad at all. 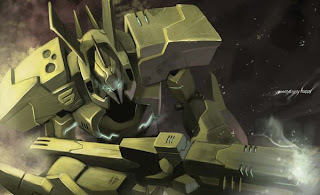 But what about our beloved Tau Battlesuits? Well, thanks to their Jet Packs, Crisis Suits are able to move and fire any weapons they have without penalty because they are Relentless. So let's apply the rumoured Rapid Fire rules to their Plasma Rifles. Now our Plasma Rifles can always fire twice at range 24". No longer would we have to risk out Crisis Battlesuits to get the best out of our Plasma Rifles. We could just sit back 24" and enjoy 2 shots from each of our Plasma Rifles. Not bad eh? I feel that 6th edition could bring many new and exciting options for the Tau Empire. Yes, we need a new Codex. Yes, our units are quite expensive compared to everyone else. But the fluid nature of the Tau army enables us to develop serious strategies which can capitalise on the rumoured new Reserves rules . So before we all start praying for a new Tau Empire Codex, what we really need in the short term is a new Warhammer 40K edition. Here's hoping for the launch of 6th edition and the return of the Tau. Your previous post just said that the Tau won't get another Codex. Now your talking about what is coming up in the next Codex. He's actually talking about the rumoured 6th edition changes to the main rules, which will happen a lot sooner than the new Tau Empire codex. I sure hope what you're saying becomes true. Rapid Fire really could use this new rule. I'm hoping they keep the rule that you cannot assault after using Rapid Fire. Though unlikely, if this happens then the Marines are going to have more joy than Tau players. Just as with the Tau rumours and all other rumours like this, I see little point in even considering them until we have an announcement from GW that 6th ed is coming and the first PDFs start appearing. Until then, we're really just wishlisting and might as well refer to it as such. Quick point; XV8s aren't truly Relentless, since they can't move-and-fire with heavy weapons. XV8s aren't truly Relentless? Where do you get that? Tau codex says they have Jet Packs. 5th Edition says that Jet Packs get 6" move in the Movement phase, and 6" move in the Assault phase, and the Relentless special rule. 5th Edition says that Relentless models can shoot both Rapid and Heavy weapons as if they were stationary (even if they choose to assault in the same turn). This would be a welcome change. The biggest setback have been the limited unit size and the low shot count it gives. The new rule gives a bonus without forcing larger units. The down side is it looks like it will apply to everyone so it could be diminishing returns. Now if this were combined with a tau only, twin linking change to both weapons working independently then you are talking about a serious wake up for tau. Actually if you look at the 5th edition BRB it specifically says that all Jet-pack units are relentless. Besides our Crisis suits themselves aren't equipped with any heavy weapons. The Tau codex specifically states that the Tau jet packs are not relentless for the purposes of Heavy Weapons. This annoys me furiously as some Forge World XV-8s have heavy weapons. Yes, the XV8 (but not the XV15) has a specific note that states that it is Relentless for the purposes of rapid fire weapons, but not for heavy weapons. And while it's true that they can't carry heavy weapons normally, that rule does affect the utility of things like the XV81 and XV84 commander suit variants, and of attaching marker drones to an XV8 squad. Wow, I had never seen that about Jet Packs and Heavy weapons on page 27 in the Tau codex. You're right about crisis suits not having any Heavy weapons to use. Therefore, this only applies to Marker Drones (Markerlight) and Sniper Drones (Rail Rifle). And two of the commander suit variants from the recent Forge World update. But yeah, it's why I always kind of wondered about that rule; why say they can't move-and-fire heavy weapons if they can't have heavy weapons in the first place? Just a little fyi, Plasma Rifle would NOT shoot twice at 24" under the 'leaked' 6th rules. Its 1 shots at max range, regardless of if you moved or not, and +1 shot at 12" (or 18" if you are relentless). However, under the 6th rules jet-packers are no longer relentless either, so nothing changes for our suits. It is still a boost for firewarriors as they can now fallback and shoot, instead of having to get into a transport a turn early, or get killed in cc next turn.